If you're deciding between the Toyota Land Cruiser and the 2008 Lexus LX 570, you might consider that Lexus dealers have much higher standards of service and keep their customers much better satisfied, according to J.D. Power's annual surveys. The 2008 Lexus LX 570 comes loaded with worthwhile technology, but it's not as distinctive as a Range Rover or an Escalade. 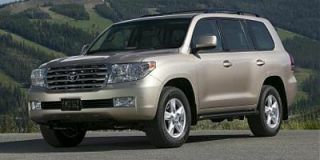 To assemble this comprehensive review of the 2008 Lexus LX 570, the car experts at TheCarConnection.com looked to several of the most respected review sources. Then TheCarConnection.com's editors brought their firsthand driving experience to bring you an especially insightful review. The large Lexus LX SUV has been completely redesigned for 2008; with a much bigger, more powerful 381-horsepower, 5.7-liter V-8 engine, it's been renamed the 2008 Lexus LX 570, replacing the LX 470. 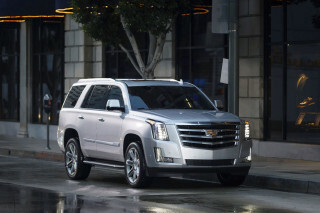 Compared to the LX 470, the new model has more safety features, as well as high-tech off-road aids. At heart, the 2008 Lexus LX 570 remains an equipment-laden version of the Toyota Land Cruiser, sharing its current 112-inch wheelbase, but now 4 inches longer, at 196.5 inches in overall length. With 113 more horsepower and 73 more pound-feet of torque than the former 4.7-liter V-8, the 2008 Lexus LX 570 is much faster than the outgoing model. Teamed to the V-8 is a six-speed automatic transmission with sequential shifting and a Torsen limited slip differential for the full-time four-wheel drive. Towing capacity increases from 6,500 to 8,500 pounds, which combined with the engine's extra torque should make the LX 570 well suited for towing the motorboat out to the launch. But unladen, the LX 570's fuel economy is a low 12 mpg city. Features to control the LX's ride and off-road capability abound in the new ute. There's an adaptable suspension, with electronically controlled shock absorbers that have quicker responses and finer adjustment than before. An active height control can lower the 2008 Lexus LX 570 about 2 inches for easier entry and exit, raise it at slower speeds, and lower it again at faster speeds to help out in aerodynamic and fuel-efficient ways. Crawl Control aids drivers in off-road situations requiring delicate throttle inputs--such as on steep boulder- or scree-covered slopes. The new 5.7-liter engine has plenty of power for rapid passing and easygoing cruising on the highway, with very smooth gearshifts. 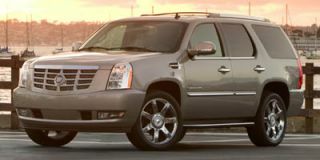 The ride is rather firm but settled, and the LX stays quite flat in corners, although the LX 570's nearly 6,000-pound weight is an ever-present reality when maneuvering and braking. As with many of the higher SUVs, rearward and sideway visibility can be an issue in the 2008 Lexus LX 570, especially on tight city streets. The 2008 Lexus LX 570 has seating for up to eight in three different rows, with an interior that's more ornate than that of its sibling, the Toyota Land Cruiser, with fine wood trim and matte-metallic surfaces. The front seats are very generously apportioned and immensely comfortable. But there are some inadequacies in the interior design--namely, that the third-row seat design isn't large enough for adults and doesn't fold flat into the floor. 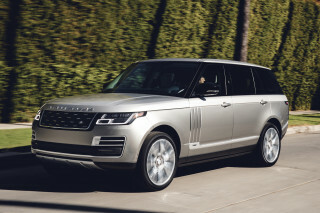 Luxury features abound: four-zone climate control, power sliding second-row split seating, a voice-activated navigation system with Bluetooth, nine-speaker premium sound, XM Satellite Radio with real-time traffic advisories, and power third-row seating. A rear-seat entertainment system, adaptive cruise control, and a 19-speaker Mark Levinson audio system are options on the 2008 Lexus LX 570. The LX 570 has not yet been crash-tested by either of the major programs, but it includes one of the longest lists of standard safety features for any vehicle. Electronic stability control and enhanced anti-lock braking with an all-terrain mode are standard on the 2008 Lexus LX 570, along with front- and second-row side airbags, side impact airbags covering the second and third rows, and front knee airbags. 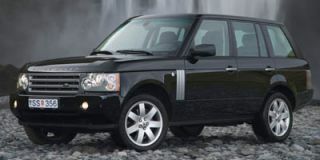 The 2008 Lexus LX 570 lacks the visual excitement of the Land Rover Range Rover. Inside, the 2008 Lexus LX 570 has "broken no new ground in terms of materials or design," according to Cars.com; ConsumerGuide says this 2008 Lexus SUV's "cabin decor lacks the richness of other premium rivals, looking more 'upscale Toyota' than true elite class." Here, Edmunds parts ways with the others, describing the Lexus 2008 LX 570's interior as "richly appointed, with exceptional leather and wood trim crafted of Bubinga, an African rosewood often used in private jets and high-end musical instruments." Driving the 2008 Lexus LX 570 is an exercise in speed versus mass—and in terms of handling, mass wins. 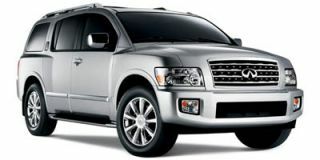 Experts at TheCarConnection.com finds the 2008 Lexus LX 57 has a lot of raw power and handles remarkably well for a vehicle of its bulk--at a price. A new 5.7-liter engine has plenty of power for rapid passing and easygoing cruising on the highway, with very smooth gearshifts. 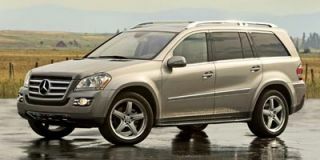 Automobile reports "the big SUV has plenty of brute force. Its 5.7-liter V-8 produces 383 hp and 403 lb-ft of torque--a shocking 115 more ponies and 75 more lb-ft than last year's LX470." 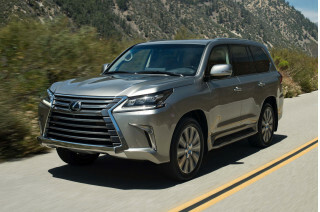 The 2008 Lexus LX 570 is in fact "named after its 5.7-liter V-8 engine," according to Cars.com, which adds that it puts out "a total of 383 hp" with a "torque rating [exceeding] 400 pounds-feet." Teamed to the V-8 is a six-speed automatic transmission with sequential shifting and a Torsen limited slip differential for full-time four-wheel drive. ConsumerGuide reports that the Lexus 2008 LX 570's "muscular V8 and smooth, responsive transmission deliver good highway-speed passing punch." According to Cars.com, this "transmission is a new six-speed, which adds 2,000 pounds of towing capacity for a total of 8,500 pounds." It’s not perfect, though--Automobile contends "the driveline clunks when you're moving off from a stop." Towing capacity increases from 6,500 to 8,500 pounds, which combined with the engine's extra torque should make the LX 570 well suited for towing the motorboat out to the launch. But EPA estimates of 12 mpg city, 18 mpg highway for this 2008 Lexus are as "abysmal" as Automobile describes them; to make matters worse, "Lexus recommends premium-grade gas," reports ConsumerGuide. The ride is firm, and the LX stays flat in corners, although the LX 570's nearly 6,000-pound weight is an ever-present reality when maneuvering and braking. Automobile says the Lexus 2008 LX 570's "truck suspension pitches and heaves constantly." On the other hand, Cars.com says this Lexus 2008 model's suspension system suspension "is a sophisticated combination of air springs and adaptive shock absorbers that automatically optimize for comfort, performance and body control." This source adds that "multi-terrain antilock braking...is claimed to detect loose surfaces and react accordingly" (as on gravel, snow, and so on). ConsumerGuide agrees with the former by reporting that the 2008 Lexus LX 570's "self-adjusting shock absorbers do little to enhance ride quality on any of the three available settings." ConsumerGuide likes the quality of the brakes, which "have ample stopping control with progressive, well-weighted pedal action." However, they feel "the steering is too light for our tastes but is quick and has good feedback." Edmunds was entirely in awe of all aspects of the 2008 Lexus's handling characteristics: "If there's a fault in the whole driving experience, it's that the LX 570, perhaps because of its superb capabilities, is a bit bland to drive." Comfort and quality are high in the 2008 Lexus LX 570, but it’s not the most space-efficient SUV. 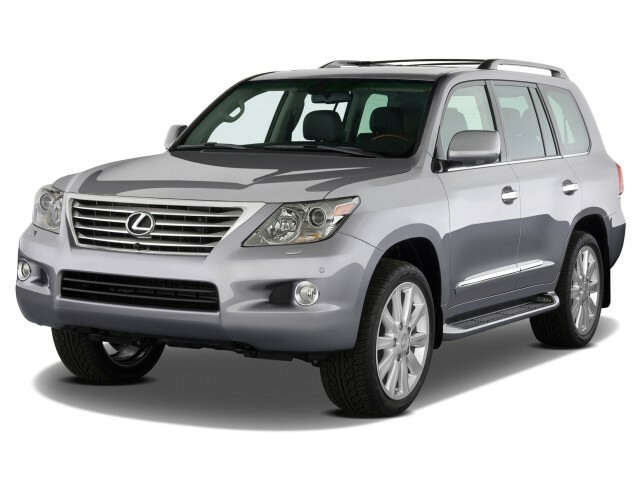 The 2008 Lexus LX 570 has three spacious rows of seating and a well-built, well-finished interior. The front seats are very generously apportioned and immensely comfortable. But there are some inadequacies of the interior design--namely, that the third-row seat design isn't large enough for adults and doesn't fold flat into the floor. Kelley Blue Book reports that the 2008 Lexus's "interior is comfortable and has enough room for eight passengers and a lot of luggage and gear" with "best-in-class second- and third- row legroom" and "30 inches of headroom in all three rows," so "tall passengers can be transported without a complaint." Edmunds, however, notes "the third row still has a knees-up seating position that's suitable only for kids." Consumer Guide reports "both rear seat rows are comfortably padded but need longer cushions, especially the 3rd row." Storage and cargo room aboard this Lexus 2008 model is adequate; according to Edmunds, "since the third row isn't totally removable, the [2008 Lexus] LX 570's maximum cargo capacity is 83 cubic feet, average for a midsize SUV but notably below the capacity of many other large SUVs." ConsumerGuide, however, praises "ample interior storage [that] includes bi-level dashboard glovebox, twin-lid console bin, and large map pockets on doors and seatbacks." ConsumerGuide also notes that the "Lexus  interior...impresses for high-quality materials and thorough detailing." Mother Proof points out, however, that while "the Lexus  LX 570 is a very well-appointed truck...it's a truck nonetheless." ConsumerGuide says that the 2008 Lexus "maintains Lexus's library-quiet reputation. Highway wind rush is impressively low, but coarse-surface tire thrum is noticeable. So, too, is the V8's classy-sounding growl at full throttle." Between the 2008 Lexus LX 570's available safety features and its sheer bulk, occupants should feel very secure, though crash-test scores are unavailable. The LX 570 has not yet been crash-tested by either of the major programs, but it includes one of the longest lists of standard safety features in any vehicle. Cars.com reports that the 2008 Lexus "boasts 10 airbags. In addition to the usual front and front-seat side-impact bags are second-row side-impact airbags and a knee airbag for each front occupant" along with head restraints--which are installed on the 2008 Lexus LX 570 for the first time. Edmunds reports this Lexus 2008 model has "a comprehensive array of standard safety features, including stability control, antilock brakes with brake assist, front-seat side airbags and roll-sensing full-length side curtain airbags," adding that for 2008, "Lexus' pre-collision system is optional." Perhaps its best protection is its size; Popular Mechanics quips that if one "ever did hit anything with it at high speed, it would probably bounce off, since it's such a big, strong tank of an SUV." As with many of the higher SUVs, rearward and sideway visibility can be an issue in the 2008 Lexus LX 570, especially on tight city streets. ConsumerGuide says that the Lexus 2008 LX 570's "high stance and rear-roof styling hamper visibility, but that's offset by large door mirrors, standard front and rear obstacle detection, and rearview camera." The 2008 Lexus LX 570 has everything an SUV driver needs—including one of the world’s finest sound systems. The 2008 Lexus LX 570 has an abundance—or maybe an excess—of features. Luxury features abound: four-zone climate control, power sliding second-row split seating, a voice-activated navigation system with Bluetooth, nine-speaker premium sound, XM Satellite Radio with real-time traffic advisories, and power third-row seating. Cars.com confirms this 2008 Lexus's "many standard features include touch-screen navigation with real-time traffic information and a premium stereo with XM Satellite Radio." Thankfully, for 2008 Lexus has simplified the lineup considerably; Edmunds reports "one base trim level" of the Lexus 2008 LX 570, "which comes standard with 20-inch wheels, adaptive xenon headlights, a power liftgate, wood and leather interior trim, power and heated front seats with driver memory settings, keyless ignition, four-zone automatic climate control, Bluetooth and a premium sound system with six-CD changer, satellite radio and auxiliary audio jack." In terms of extras on the Lexus 2008, Edmund says "gadget junkies can choose from several options." These include "a rear-seat entertainment system, ventilated front seats and heated second-row seats, and adaptive cruise control." In addition, the 2008 Lexus LX 570 can have a park-assist system "equipped with front and sideview video monitors for better visibility." A 19-speaker Mark Levinson audio system is also optional and offers spectacular sound. The only downside here is the navigation system; according to ConsumerGuide, it's "simple to program but annoys by absorbing some basic audio and climate functions, such as air conditioning on/off."